In the weeks after Labor Day, homeowners are beginning the big clean that often comes after the last of the revelers have left town. At your upholstery cleaning company in NJ, we are proud to be able to help customers clean up the messes from the last few months of sand, parties and cookouts. Throughout the summer, greasy foods are often on the menu. Most commonly, grease stains occur on your stovetop, but will also show up throughout your kitchen, dining rooms and even in living rooms where some choose to relax and have a bite in the summer. When you find a grease stain, remove it by spraying white vinegar onto the stain and letting it soak into your carpet or upholstery and then wiping away with a hot water soaked towel. With so much fun to be had throughout the summer, it’s inevitable that you might end up with a grass stain or two. 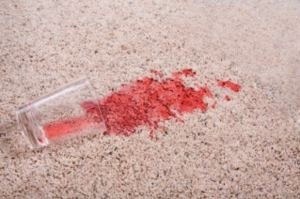 Since grass strains are actually pigments that dye your carpet and upholstery, removing them takes a bit more effort. Blot the stain with a wet cloth and then move to a household cleaner with a pH level 7. Make sure that you don’t rub the stain, but blot it instead. Other summertime “sweets” that comes out on top are Kool-Aid and other sugary beverages. To remove a stain caused by one of these colorful drinks, blot the stain with a mild liquid dishwashing detergent using a white cloth. By using a white cloth, you’ll not only be able to measure how much of the stain is coming off, you’ll also avoid leaving dye from the cloth on your carpet or upholstery. Homeowners in need of upholstery cleaning in NJ are searching for a way to remove stains from summertime favorites, ketchup and mustard. Remove any remaining fibers with a knife and then sponge the stain with dishwashing detergent and cold water. You can always try mixing warm water with ammonia for more stubborn stains. At Best Way Carpet and Tile Cleaning, we are proud to assist homeowners with all of the messes and stains that can come with cleaning a summer rental. To learn more about our services or to schedule an appointment with a technician, we invite you to give us a call at 732-391-6500 and visit us online at www.bestwaycleaning.net. This entry was posted on Wednesday, September 18th, 2013 at 9:18 am and is filed under Upholstery Cleaning.